Amplify Berlin launchs its own workshop series. Join us for the first one with a Live Visuals, Audiovisual Performance and Real-Time Video Tools with Lucas Gutierrez [Selam X] on April 24, 25, 27 from 10-15H. The workshop will end with an Open Lab day on Saturday 27th, participants will present their works and share their experience with visitors. Over the three days, participants will be introduced to the live visual capabilities of software such as MadMapper & Modul8. Previous experience is not required and the workshop is accessible to all levels. Designed for students and artists who are interested in gaining audiovisual language experiences for live shows via an extensive list of tools and tips. Participants will be provided with (full) temporary licenses of the software. The workshop is divided into practical modules with specific exercises and concludes with the realization of an individual or joint presentation. ... is a digital artist and industrial designer based in Berlin. He has been engaged in various disciplines from lectures, workshops and audiovisual performances to video art projects focused on the new paradigms of Digital Culture. Deeply involved in remix culture and real time AV session projects in which he blends influences of different contexts – from post-work anthropology to the abstract quotes from 3D modeling for Industrial Design. His narrative is often quoting current social fears and dystopias, but mostly using the language of colorful, chaotic metaphysics. He has participated and exhibited his works in well known festivals such as: Offf-Festival, Creamfields, Mira Festival, Panoramica Argentina, Genius Loci Weimar, BNT-Trimarchi, among others. Member of Fungo (Lisbon) as the Video Content Director and part of Selam X (Berlin). 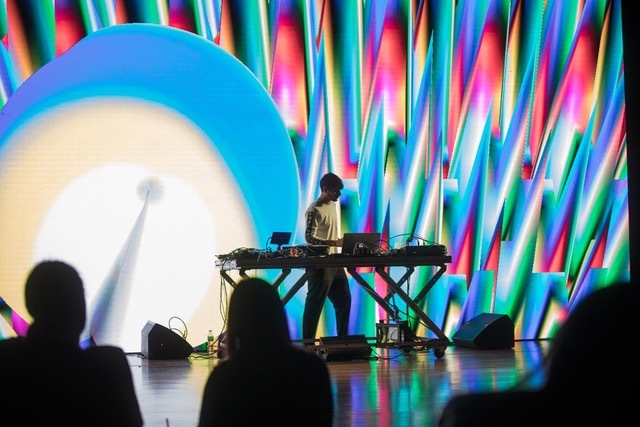 His most recent talks and performances were in Sonar+D and MUTEK (Argentina/Mexico), ZKM — Zentrum für Kunst und Medien Karlsruhe, exhibitions at XS Gallery (Poland) Aperto Raum and Vorspiel / transmediale & CTM (Berlin, Germany). Within the last years, Lucas has also worked commercially with clients like Nike, Puma, Vodafone, Focus Magazine, Wacker Chemie AG., Red Bull and Budweiser. Payment will be required within 14 days of the workshop start date. For registration, please contact shub@amplify-berlin.de.